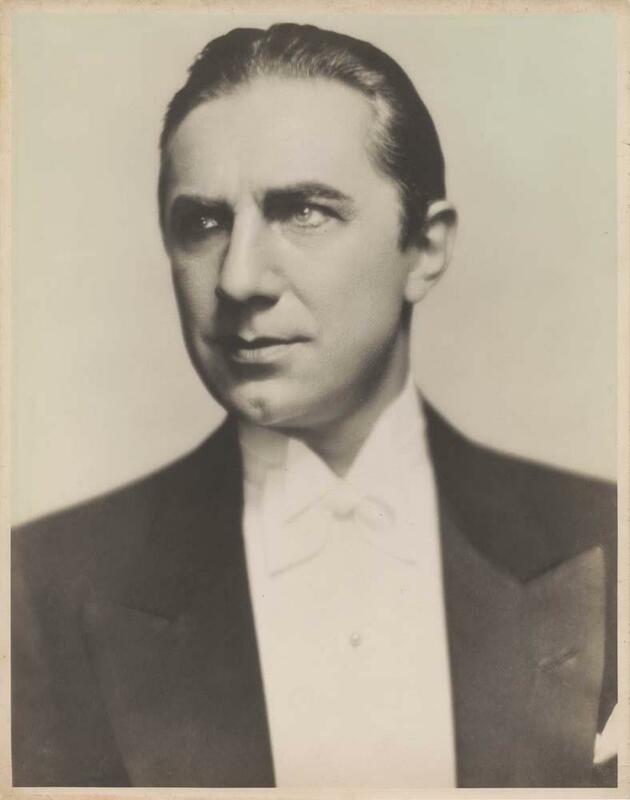 This page is a simple chronological list of all of Bela Lugosi’s known films, serials, shorts and newsreels. Thanks for stopping by at my blog. You’re very cool too. All the best. Thanks. I really enjoyed your article on ghost ships. Great to see you’ve got a link to Tim Burton’s Vincent, too. His best! It certainly has taken some hours, and many more lie ahead, but it’s a labour of love. Glad you enjoyed it Bobbi Jo. Fantastic website. A lot of helpful info here. I am sending it to several buddies ans additionally sharing in delicious. And certainly, thanks to your effort! If he died before Plan 9 was completed why is a movie listed a year later? Thanks for your question Tom. Plan 9 From Outer Space, or Grave Robbers from Outer Space as it was originally titled, was not written or filmed until after Bela Lugosi died. Ed Wood shot the footage of Lugosi he incorporated into Plan 9 shortly before the actor’s death in 1956. It’s not known which project or projects they were originally intended for. Ed Wood always had various ideas simmering at the same time and tended to shoot as and when he could get his hands on some money. Lugosi himself stated several times after his discharge from the Metropolitan State Hospital in August of 1955 that he was due to appear in an Ed Wood film named alternatively as The Phantom Ghoul and The Ghoul Goes West which never materialized. The footage which found its way into Plan 9 may have been intended for that aborted project. Interestingly, Plan 9 is always listed as being released in 1959, but as you can see from the advertisement from the Reading Eagle (https://beladraculalugosi.wordpress.com/bela-lugosi-filmography-part-3-1951-1959-the-twilight-years/), it was being screened at the Warner Stanley Theatre for a week in October, 1958. Thanks for your work on this website. I have a new 80-year-old hospice patient in a nursing home where I volunteer; he said he can watch Bela Lugosi movies over and over! I printed out your list of movies. Maybe he’ll see a title or two he wasn’t familiar with. I’ll check out some of the titles on YouTube and see what I can manage to show him on my laptop. I’m not too tech savvy, but I can at least handle pulling something up on YouTube for him, IF wireless is available there! There is a t.v. in his room, but it just has basic cable. I laughed at myself for looking up at it, thinking, “Oh, darn, I wish it took VHS.” I know someone with a jackpot of old VHS movies! Too funny. Thanks again! It’s good to hear that Bela’s films are still providing pleasure. I hope that you can find a few titles that are unfamiliar for your patient. I built up a massive collect of VHS tapes before DVDs were introduced, all of which I had to leave in a friend’s mother’s garage when I moved from England to Japan. I’d hate to calculate how much they cost me, but they are probably unplayable by now and I’ve replaced them all with DVDs and Blu-rays now. Really nice list — and helped me with my Lugosi checklist, just now. If only the Wikipedia Lugosi filmography were in the same format and detail as the Karloff one! Thanks! See you on the podcast or Monster Kid Radio. Thanks for stopping by Stephen. Glad the filmography was helpful. I’ve just listened to the Island of Lost Souls show on Monster Kid Radio http://www.monsterkidradio.net/ Looking forward to more.